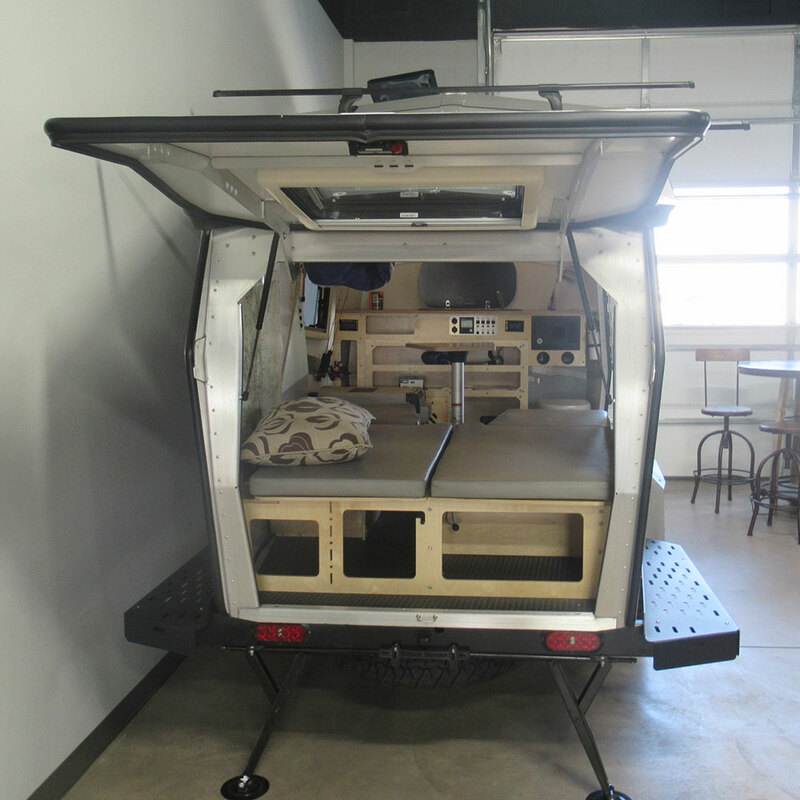 TAXA Outdoors is the largest manufacturer of lightweight trailers made for off-grid campers. We are the #1 TAXA Cricket Dealer in the Nation and try to keep a large inventory in stock. 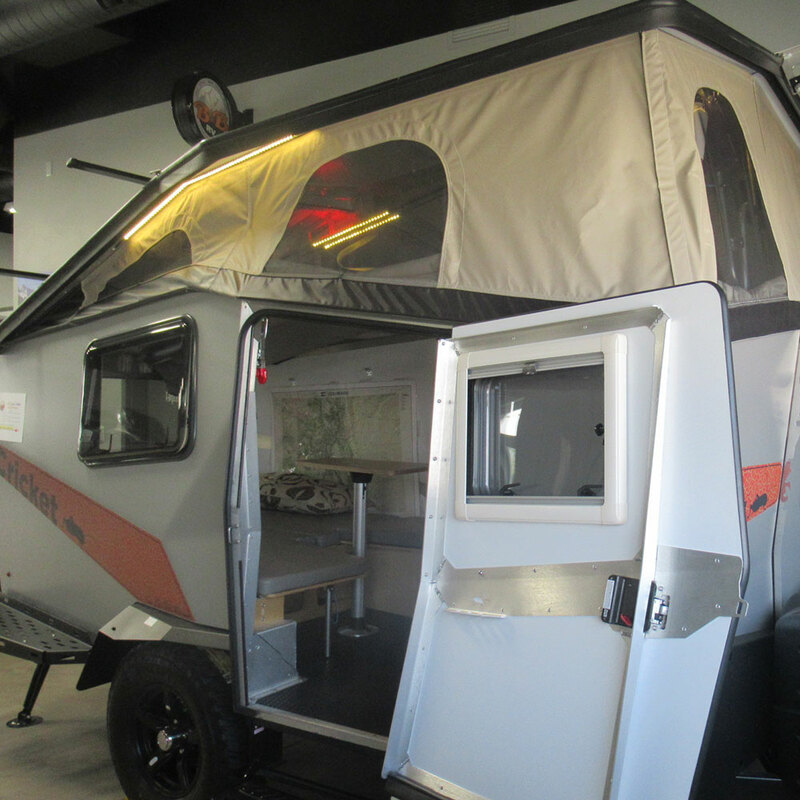 The Rocky Mountain Edition is exclusive to B&B RV, Inc. including off-road package, one berth, roof rack, spare tire, cassette toilet and fridge/freezer. The Cricket camper trailer will fit in your garage when it is down and gives you 6’4″ of headroom at the kitchen when it is raised. Set up or down takes only seconds. There is plenty of storage under the seating/bed and in the kitchen. There is an outside shower with hot and cold water. The kitchen is equipped with a stainless steele two-burner cooktop as well as a sink with hot and cold water. The heat and water are all controlled with a digital display allowing programmable functions for both temperature as well as specific start times. 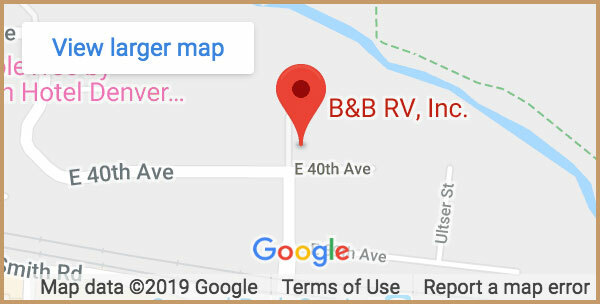 We include one overhead berth and the second is an option. These are great for kids sleeping areas or for storing bedding etc. during the day. They tie up to the ceiling to be out of the way when not needed. 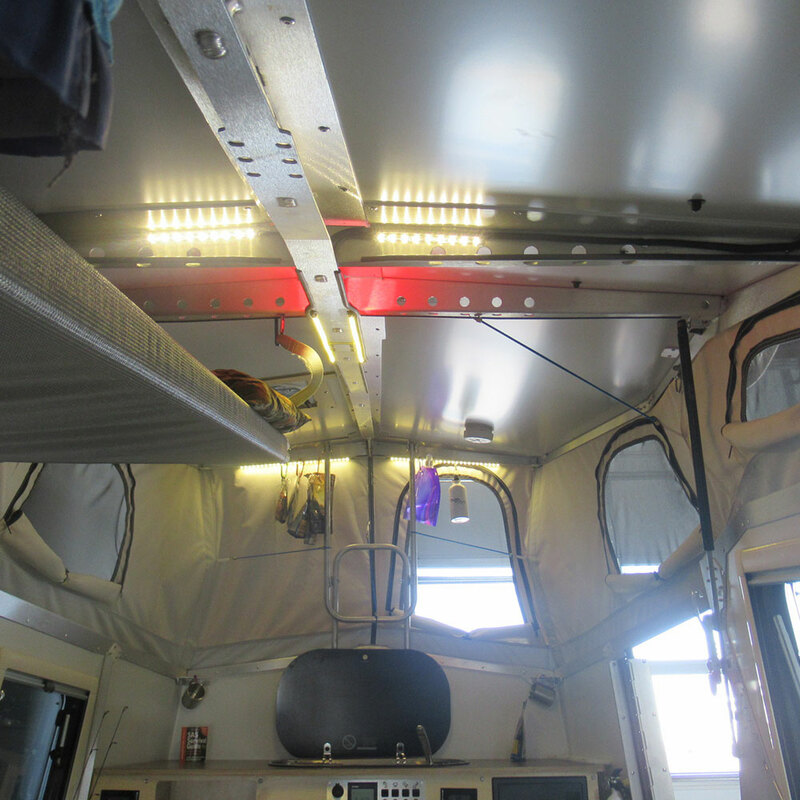 The Cricket is a high-quality camper engineered and designed by a NASA engineer. 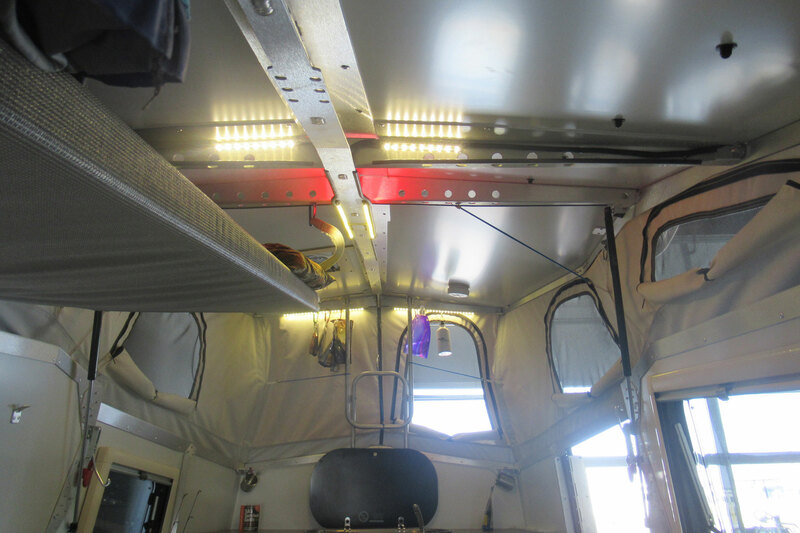 The Cricket Trailer was designed by NASA Engineer Garrett Finner, who was part of the team in charge of designing the living quarters for the International Space Station (ISS). As a result, the Cricket Trailer is a truly beautiful as well as an amazingly functional trailer. While it has an extremely spacious interior (6’4″ room to standup, queen size bed, 12 cubic feet of under bed storage), the Cricket trailer is also as narrow as a car, with an exterior width of just 6’7″, eliminating the need for mirror extensions and making it easy for beginners to tow. As the #1 Cricket dealer in the nation, we try to keep a large inventory in stock. Our Rocky Mountain Edition is TAXA’s Trek model with a couple of changes. We eliminate the screen on the door and the tent for the outside shower. We did this to save money for our customers as they have not wanted those items. 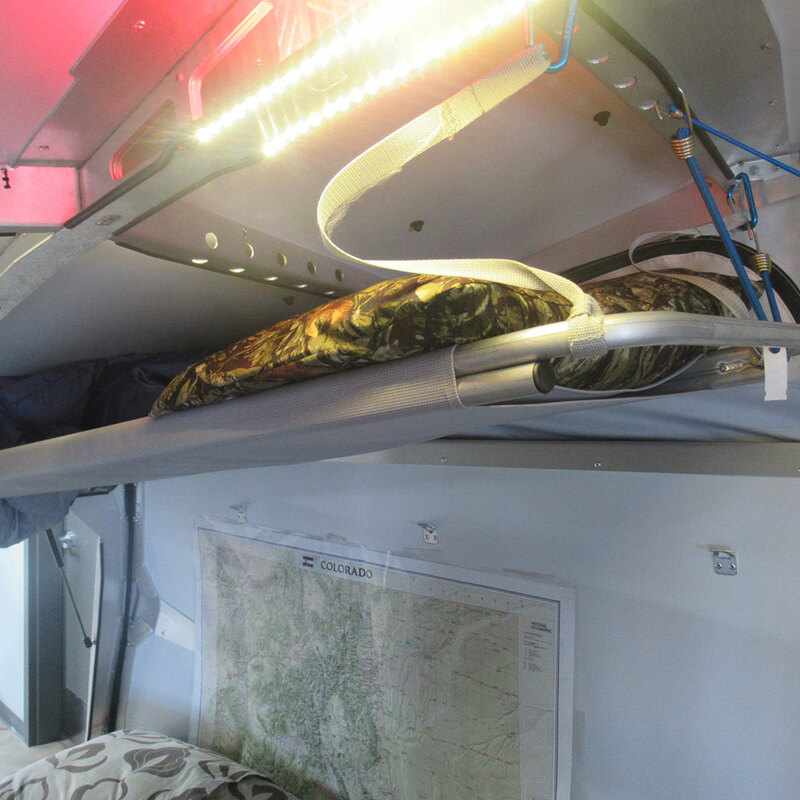 Our additions are two deep-cycle batteries, a cassette toilet and one overhead berth. We Currently Sell Our Rocky Mountain Edition for Only $28,765. 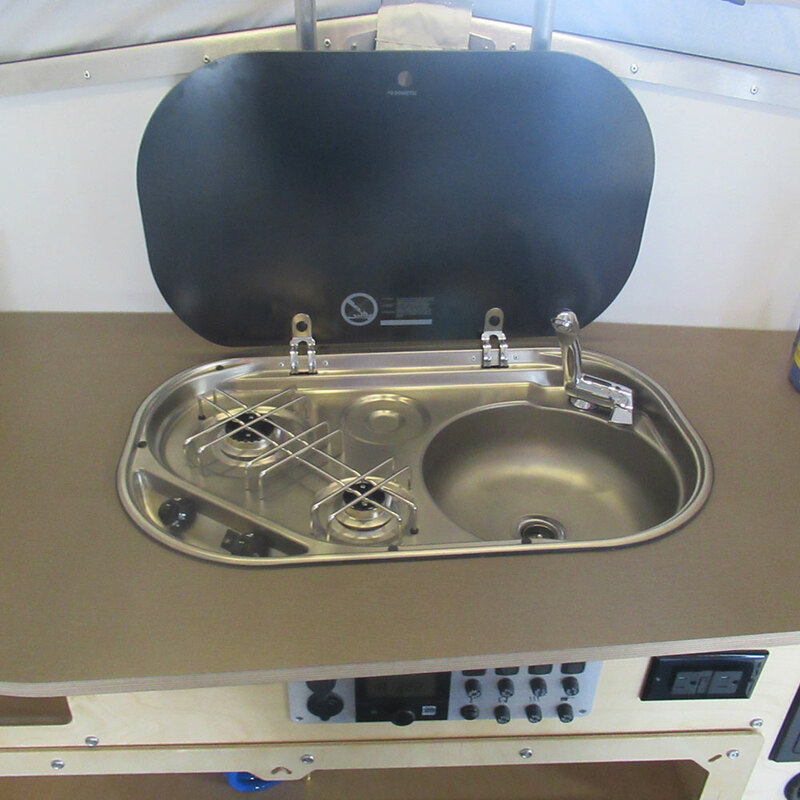 Popular options are the second berth and portable solar panel.